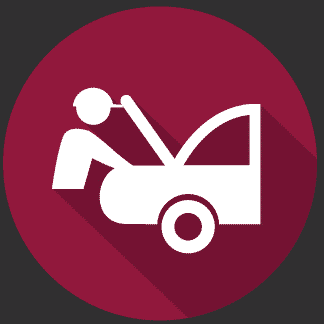 As providers of comprehensive towing and roadside assistance services, we and our network of independently owned and licensed affiliates are often called upon to open car trunks in which car keys were accidentally locked. Since our expert techs can open any locked trunk within minutes (many times in less than one) it may seem that there is nothing much to it, it is important to understand that this is hardly the case and to realize how important it is to allow only well-trained professionals to regain access to your vehicle’s trunk. If your car’s trunk has somehow become locked with no way to reopen it, if you’ve accidentally locked your keys in the trunk, if a faulty mechanism is stopping you from gaining access to your car’s trunk or if you’re having any other type of auto locksmith related trouble with your vehicle’s trunk, it is important that you only call in experts to solve the situation for you. Unprofessional handling of trunk opening may cause damage to the trunk’s mechanism (damage that at first, you may not even notice) or visible damage to the trunk itself as a result of forcibly prying it open. True professionals, such as Towing Fort Worth techs, possess the necessary know-how and have all the right tools of the trade in order to open any trunk, in any kind of circumstances without causing damage or leaving a mark. At Towing Fort Worth we aim for full customer satisfaction, we go to great lengths in order to provide you with top class towing and roadside assistance services, trunk opening naturally included, at highly competitive rates. We are fast, reliable and always available. You can call on us at Towing Fort Worth at absolutely any time, we operate 24/7 all year round. We always have a tech and van ready for immediate response. Our techs are all top of their field, certified, highly dedicated and service oriented. If you are in or around Fort Worth, or anywhere else within our area of coverage, and need a locked trunk reopened, calling on us to take care of it for you is your best choice. You need not wonder if we are available or how fast we can be at your side.